View the product image above and check out the precise details and craftsmanship put into this remarkably durable Liverpool Fixed Cheek Mullen Mouth Driving Bit. 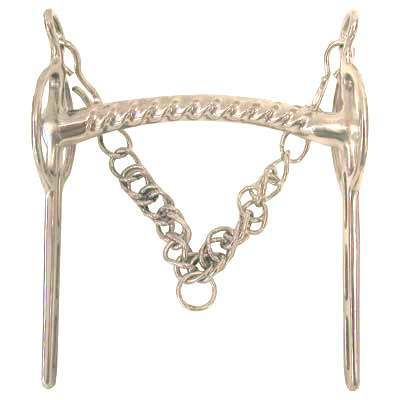 Our Liverpool bit is an extraordinary bit that will provide maximum comfort for your horse. This Luxurious Driving Bit is one of the most popular horse bits. This item comes in either German or pure Solid Stainless Steel. At HorseTackNow we only offer the best horse bits and horse tack available at discount prices.